Success: It takes two to tango! Kochi: Making themselves comfortable on the couch in their office, Sijoy Varghese and Dinesh Prabhakar are narrating the story about their friendship — how they met, became friends, partnered a business and eventually ended up in tinsel town. Their real life names may sound unfamiliar; but no moviegoer would forget Ambro Saji, the cricketer of 1983 and Zack, of Bangalore Days. “I am happy about the good reviews for my performance in Bangalore Days as Dulquer’s coach. The movie actually gave me a break. I was a bit reluctant to act at first. But now I am very happy that people recognise me,” says Sijoy, who started his career as an assistant director in 1991. Later, he ventured into advertising and returned to M’town as an actor with the film ABCD, starring Dulquer, with whom he has a good rapport. Though Sijoy is a newbie in acting, Dinesh is an experienced hand, with more than 40 films to his credit. However, Dinesh says it wasn’t a cakewalk. “I had tried my luck in theatre, and dubbing before coming to movies. My first film was Meesa Madhavan with Lal Jose sir. The opportunity came when I was in Mumbai,” says Dinesh Prabhakar, who has also acted in the Bollywood film Madras Café. However, the duo in unison agrees that it was their advertising career that helped them perform well in movies. The duo runs an ad film production house in Kochi, Mumbai and Dubai. “Though I started my career with movies, I later shifted to the advertising industry, which I found more promising than cinema. Dinesh joined me a few years later. He was very good in casting. Many of our famous actors and actresses were once our models. We have been good friends since then. His contacts and casting skill have helped our production house to bring out quality creatives. Together, we promoted more than 500 brands. Our jingle Unnikkinnoru Kuda Venam for an umbrella brand was a hit during that time,” say Sijoy and Dinesh. However, the two friends are planning to continue their cinematic journey along with business. “Since we are having a good run in cinema and advertising, we are planning to maintain both together. We don’t think that it will be a big issue as our directors Dileep, Faizal, Vineeth and Abin are here to help us all the time,” aver the two. 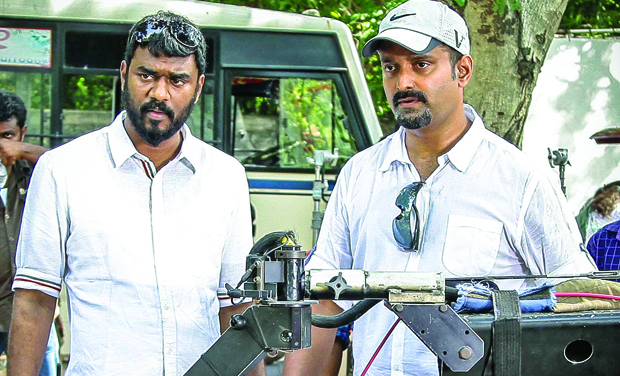 Dinesh and Sijoy are currently acting in Homely Meals and Avatharam respectively.